Founded in 1907 as the Vancouver Mountaineering Club, the British Columbia Mountaineering Club is one of the province’s oldest outdoor recreation clubs. In 1973, the BCMC originally published (with The Mountaineers of Seattle) Mary and David Macaree’s beloved guidebook 103 Hikes in Southwestern British Columbia, which went on to sell more than 120,000 copies over six editions. It’s only fitting that 105 Hikes In and Around Southwestern British Columbia, an all-new follow-up to 103 Hikes, should maintain a formal connection with the BCMC. A portion of the revenue from sales of the guide, which comes out May 26 from Greystone Books, will benefit the club. With one month to go, the book should be back from the printer soon. 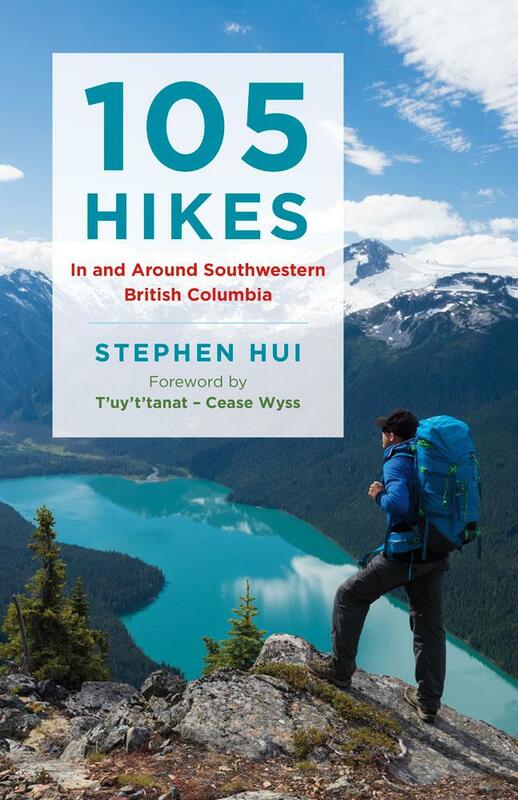 On May 26, 105 Hikes In and Around Southwestern British Columbia will have its long-anticipated publication day.